Moss Hollow Pottery > Books > Kumihimo & More! 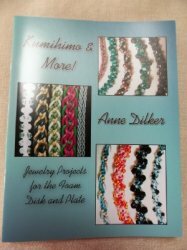 32 full colors pages featuring kumihimo projects on both the foam disk and plate. Also includes instructions for some of the focal pieces shown in the projects!